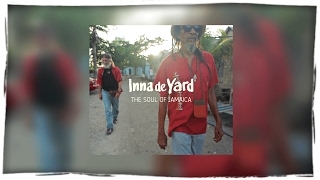 INNA DE YARD bring to life the unique and original passion of singing with acoustic reggae music. Several iconic figures from Bob Marley’s island and spirited young musicians are gathered on the terrace of a house, in the hills of Kingston, to bring the essence of their musical culture back to life. United in the same place, and united in time, because they have recorded an original album in just four days. They are Ken Boothe, Cedric Myton from the Congos, Lloyd Parks, Derajah, Var, Kiddus I, Steve Newland, Bo Pee, Kush & Winston McAnuff. To discover the roots of this story, we have to go back to the Makasound label in the 2000s. This specialist Jamaican reggae label (created by the same activists who would go on to form Chapter Two) released a series of albums recorded in the open air, Inna De Yard. 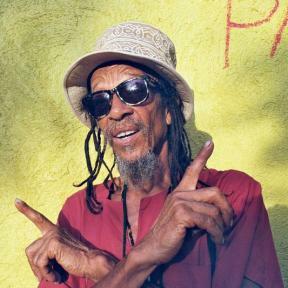 The concept was to walk microphones through the yards of Jamaican musicians, and guitarist Earl Chinna Smith’s yard in particular, to capture the melodies and inspirations at source. A kind of field recording on Bob Marley’s home ground. After eight fabulous albums dedicated to the island’s great singers (from Junior Murvin to Kiddus I, not forgetting The Viceroys, The Mighty Diamonds, etc.) 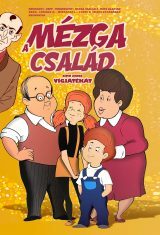 a group was formed to take the passion of the recordings on stage. And then the Makasound label disappeared in 2011, and along with it Inna De Yard. But the albums were never forgotten by black music fans, and when the Philharmonie de Paris decided to dedicate an exhibition to Jamaica (the Jamaica Jamaica exhibition opens in April 2017), they naturally called on Chapter Two and Inna De Yard to revive one of the most enjoyable experiences of Jamaican music. 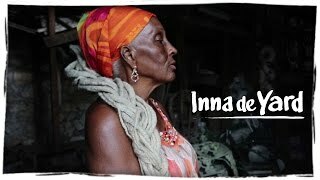 More than the music, it’s about bringing a state of mind to life: whereas today, in Kingston, young musicians and the stars of modern dancehall hide themselves away in cabin like studios with digital equipment to record their tracks, Inna De Yard does the opposite. Production focuses on the simplicity of the orchestration, the warmth of the acoustic sound, the raw emotion of the voices and the collective energy, the precious moment when the communion between musicians creates music, in a way that is organic and almost spiritual. “The power of Togetherness” as Rastas like to say. So, on this new album called “The Soul of Jamaica,” we find not only major international Jamaican icons who are still playing, such as Ken Boothe and Cedric “Congos” Myton, but also veterans adored by reggae fans and unknown to the general public such as Lloyd Parks and The Viceroys, and a few young talents emerging from the new acoustic scene in Kingston such as Var, Kush McAnuff, Derajah and Steve Newland. 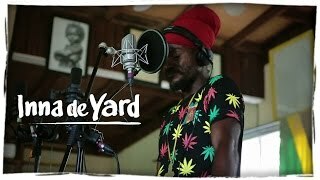 Together, they have recorded a collective Inna De Yard album in the open air, to be released by Chapter Two on March 10th 2017. On stage, they will share their joy at playing this organic music together again. 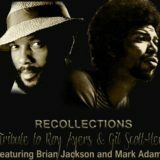 Music that transcends their soul, gospel, reggae, funk and ska spirit . 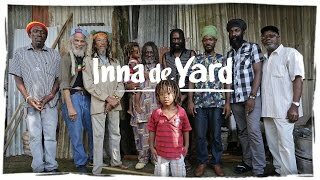 Before playing several dates at big Summer festivals and a tour of European capitals, Inna De Yard will play exclusively at the Philhamornie de Paris on 22 April 2017. The days spent recording were filmed by the photographer and director Bernard Benant, and are now the subject of a 14 minute short film, with commentary by one of the central figures in the series, the cult singer Kiddus I. It will be available online from January 2017. 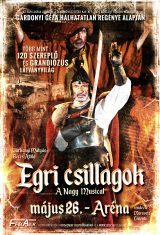 The album will be released on 10 March. You’ve never heard a Jamaican sound like this before.